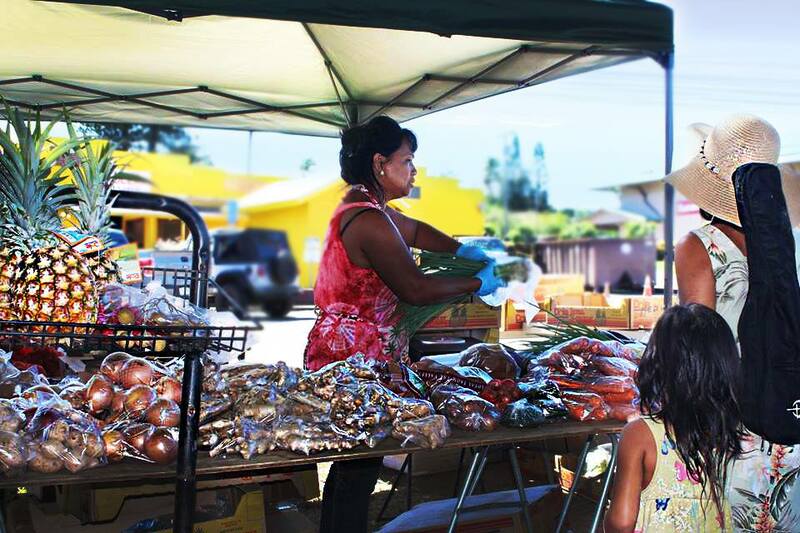 Aiming towards reaching the “Double It!” goal, One Island’s ‘Same Canoe’ program was awarded USDA funding during 2015-2016 to pilot an innovative project that doubled fresh and local food purchases. 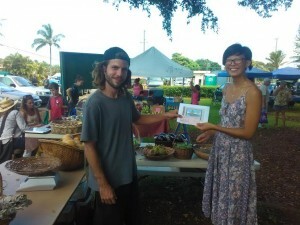 Same Canoe was honored to be the first project in Hawaii to receive an award to address food insecurity by connecting low income families and seniors with more fresh and local food and local farms. 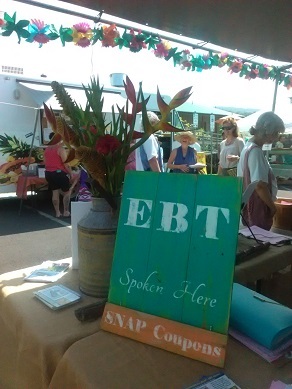 In North and West Hawaii, where the USDA-funded pilot project took place, One Island’s Same Canoe project enrolled 450 SNAP households that qualified for local food matching coupons. 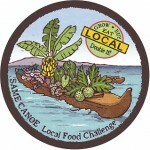 Same Canoe hosted information booths with on-site sign-ups at the South Kona (Sunday), Kona Sunset (Wednesday) and Hawi (Saturday) Farmers’ Market. Plus on high traffic EBT days, sign-ups took place at two heavy-traffic, local, family-owned grocery stores. The Same Canoe farmers’ market booths highlighted local farm produce, announced upcoming events, and encouraged visitors to complete a food challenge survey that provided a ticket for drawings for discount coupons at local food supporter merchants. Plus we hosted food and nutrition demonstrations right at the market. During the December-March period, the project tested alternate methods for community engagement, providing EBT shoppers with the opportunity to enroll for coupons that could be used at a wider variety of venues, including grocery store events and wide CSA promotion, in addition to the Farmers’ Market access points. Over 45 Farmers’ Market Vendors accepted the Same Canoe local food coupons at the South Kona Green Market on Sundays in Captain Cook, Kona Sunset Market at K-Mart in Kailua on Wednesday afternoon and evenings, and the Hawi Farmers Market on Saturdays. Fresh produce and products with 51% local ingredients qualified for purchases with the Same Canoe coupons. Special events were also held to distribute coupons for shoping at Choice Mart in Captain Cook and Takata Store in Kapa’au. Outreach into the community included events at Senior Center, Health Clinic, low income housing, Senior Nutrition, local Library and Public Schools. SNAP households could also use the coupons to enroll in the fresh local food CSA food box programs hosted by the Food Basket’s ‘Da Box’, by Adaptations’ ‘Fresh Feast’ and by the Blue Dragon Farm CSA. 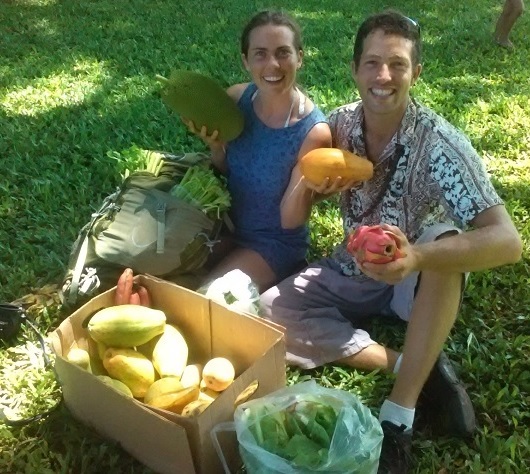 CSA are Community Supported Agriculture programs that provide pre-sorted boxes with great locally grown foods through a subscription arrangement (costs range from $10-$35 a week and Same Canoe coupons can be used towards these fees). Funded by the USDA’s National Institute for Food and Agriculture, the new grant was one of 16 pilots supported nationwide. Plans are underway to request additional funding to expand the project island wide.